Where elegance is combined with the taste. 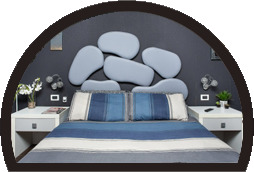 Soft Feelings are intertwine in the heart of the historical city ..
Are you looking for a quiet place, elegant and well connected to the city? Eritrea Suite is the place for you. 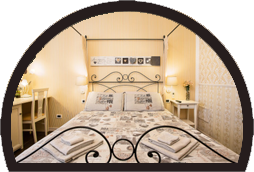 Located on the first floor of a mansion in the African- Corso Trieste’s neighborhood of 900century, the bed and breakfast is the best solution to achieve the largest and most interesting places in the city. Well connected to the rest of Rome with the near line B1 Metro (50 meters) and the bus stop (20 meters).